Happy Friday, everyone! I am so thankful that the weekend is almost here. It's been a hectic week, but I guess the first week of term is always that way. I feel like I need another holiday just to recover! Okay, so I don't have a kid in nappies any more, but everything this video--made by Fiat to introduce the 500L--says is Da Truth. It made me laugh so hard that I cried when I first saw it and a year later I still giggle my way through it. 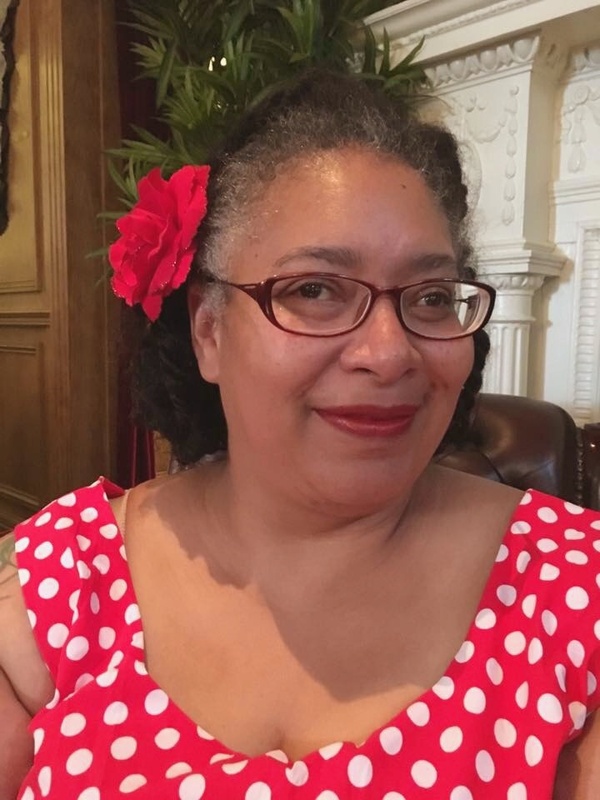 I hum it when I'm running around like a headless chicken in the morning, making breakfast, sorting out laundry, finding things that are hiding in plain sight, and all the time trying to drink a cup of coffee. I predict that in the future, mothers will be gene-spliced with octopi DNA so that we have enough arms to multi-task even more efficiently than we do now!! 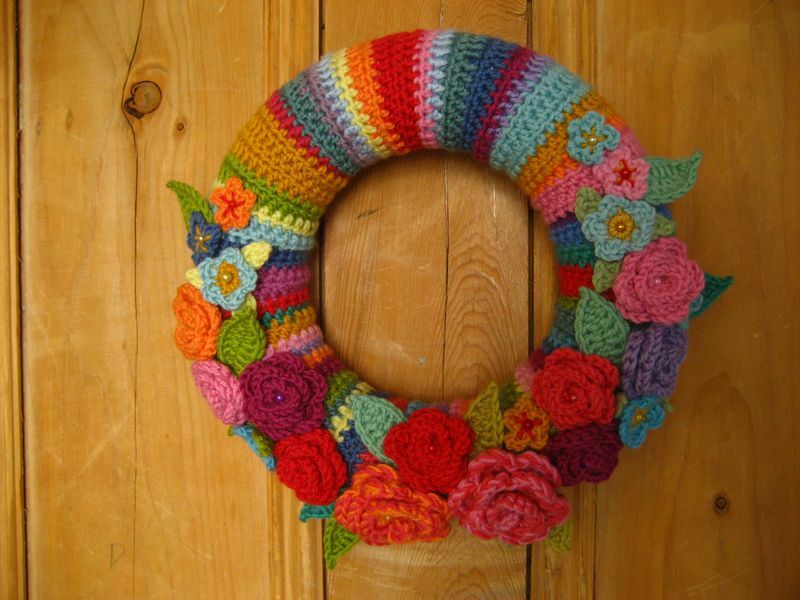 I absolutely adore this crochet wreath from Attic24. I have always had a thing for wreathes. It's such a shame that wreathes aren't more commonplace over here. In America I've seen them up year-round, not just at Christmas. An indoor wreath, on the other hand, won't get you strange looks from your neighbours, so you can go as wild and wacky as you dare! 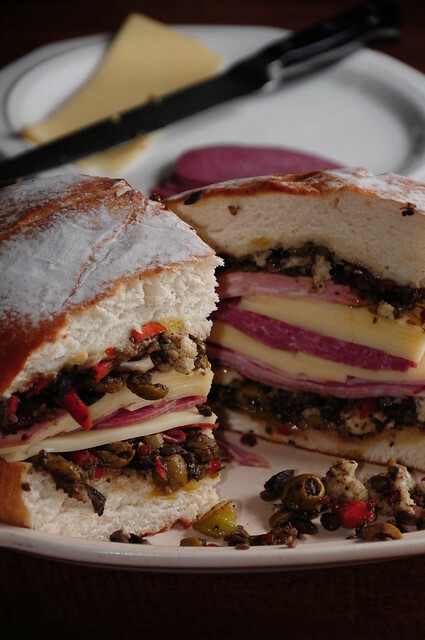 We're going to a big family picnic at the weekend--keep your fingers crossed that it's dry, please--and I'm going to make my version of a Muffaletta. Muffalettas originated in New Orleans and are a hugely loaded and very tasty sandwich full of olive salad, cheese and several different types of cured meats. Sadly, Dave and Lucas don't like olive salad, so my version usually has pesto and some ready-made antipasti plus some griddled courgettes. I make it as a pressed sandwich, in a big round country-style French bread. This means I can rip the tender bready guts out and replace them with lots of gorgeous meats and cheese, leaving the bread as more or less a handle to facilitate the eating of massive amounts of flavour in a single bite. Sticking it in the fridge overnight with a brick on top compresses the loaf to something slightly misshapen and anonymous, but, like the TARDIS, it's bigger on the inside. I could probably wax lyrical about a muffaletta for hours, but I fear you'd all get bored. So I'll just say this: it's the perfect thing for a picnic, just remember to bring a board and a bread knife!